Custom framed display measures 12.5" x 13.5" in size. 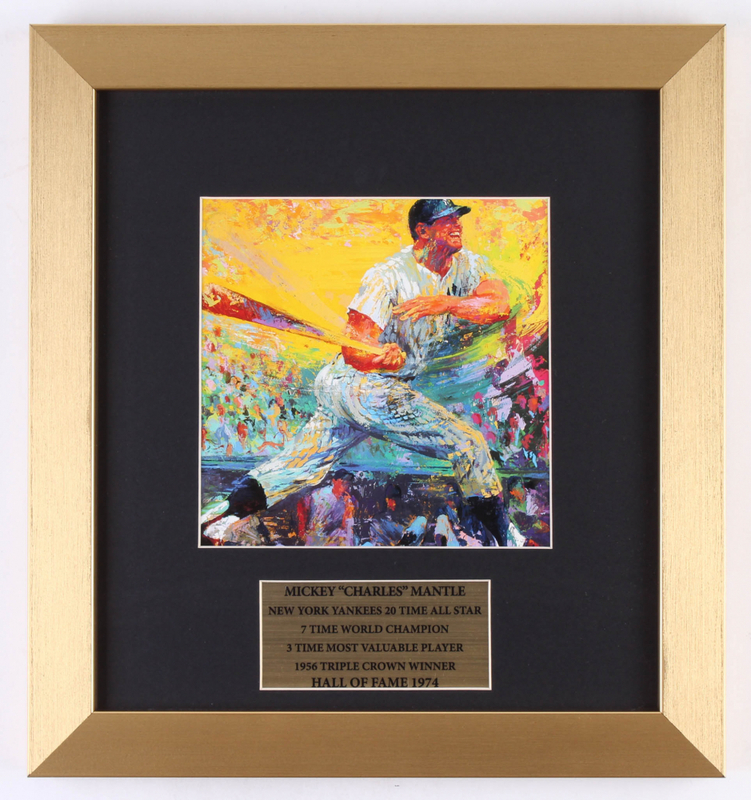 Features a print of Mickey Mantle (D. 1995, Yankees, HOF) from LeRoy Neiman (D. 2012). Please see photos for more details regarding the condition of the frame. Mantle, nicknamed "The Commerce Comet" or "The Mick", played for the New York Yankees for his entire 18 season career (1951-1968). Mantle is considered by many to be the greatest switch hitter of all time and one of the greatest players in baseball history. He was a 20x All-Star, 7x World Series Champion, 3x AL MVP, and finished his career with 536 home runs.